CRH is the world's second largest producer of building materials. The company employs 87,000 people in 31 countries. The mission of CRH is to improve the built-up environment with superior materials and products for both residential construction, non-residential construction, infrastructure and maintenance. In the short-term, there won’t be a lot of changes. The fact that we are now clearly ‘A CRH Company’, and that this has been added to our name, illustrates that CRH is focusing completely on internal synergy. 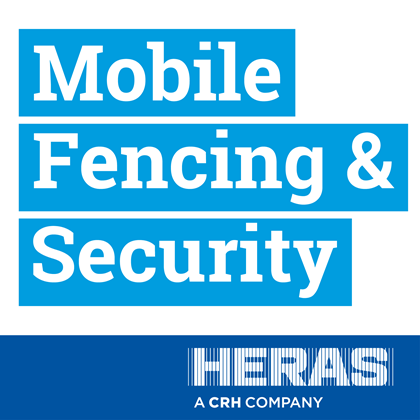 CRH also expresses confidence in the Heras Mobile strategy. With a Fortune 500 company behind us, it is easier to invest in new technologies and make our plants and processes more sustainable. And we can now regard the United Kingdom as a home market - just as we do with Germany, France, the Netherlands and Belgium. Some things, however, will not change: we will remain close to our customers (in 24 countries); we are still ready to support you, always and almost everywhere. Ultimately, your primary objective has not changed, building and doing business without making sacrifices. And with us this is possible. If you have any questions, I will be happy to answer them immediately.